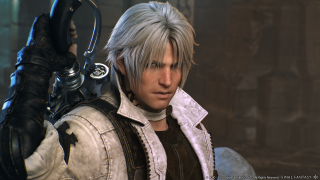 Back in November 2018, a little over a week before Final Fantasy 15 players gathered under the bright lights at its Las Vegas Fan Fest, fans of the long-running JRPG series had to deal with a spot of disappointment. In a shock move, Final Fantasy 15’s second year DLC plans were all but cancelled. Of the four instalments originally announced for 2019, only one will see release – Episode Ardyn on the 26 March. If you're looking for something a little more Final Fantasy in 2019, you are going to need to turn your attention to Final Fantasy 14: Shadowbringers. This huge upcoming expansion to the famed Final Fantasy MMORPG is scheduled to arrive later this summer and, if our time with it is any indication, it really is going to be the online adventure that offline Final Fantasy fans will need to have in their life. This feature first appeared in Official PlayStation Magazine. Get the latest PlayStation news right to your doorstep early and for a better price! Subscribe to OPM here. Shadowbringers ushers in version 5.0 of Square Enix's online RPG. But don’t be intimidated by that number, or feel you have to catch up with the previous versions. Just as the expansion will add masses of new content, it will also smooth over the playing experience, even for the base game, and for those playing through the Free Trial to level 35 (generous, considering Shadowbringers ups the level cap to 80 – if you fancy a go, the trial is available from the PlayStation Store). 2017’s Final Fantasy 14: Stormblood expansion made the game a lot less intimidating to play, and Shadowbringers further smooths out the rough edges, combining things like MP and TP into one unified resource, rethinking hotbars (again) so players aren’t dealing with too many abilities at once, and adding things like Barrier information to character health UI. The developers aren’t prepared to rest on their laurels, and are rethinking how to make gameplay accessible. Considering FF14 has been around in one form or another since 2010, it’d be natural if it felt bloated to newcomers, but in fact each update has made the game a little bit leaner, simply adding more to enjoy rather than more to slave over. To this day the crossbar in the PS4 version of the game (which is fully crossplay with PC) makes it one of the best-feeling MMORPGs to play on a gamepad – and is a PS4 console exclusive. Already, FF14 is one of the friendliest MMORPGs for playing solo. The main storyline stands among the best in the series, and for the most part you can follow it through on your own. While level requirements for the quests range all the way from 1 to 80 as you follow it through, you won’t spend much time having to grind. If you mainly play through as one main job, you’ll level up alongside the quests without much hassle (though having multiple jobs – essentially classes – couldn’t be simpler in FF14). It’s not until you have to take on the odd dungeon or boss that you need to team up with other players, usually into a party of four. Matchmaking is generally pretty quick or easy, and there’s plenty to incentivise veteran players to join lower-level queues to help less experienced people out – for example, extra experience points. It’s far from the MMORPG grind you might be thinking of, and can be enjoyed in a relatively similar way to more traditional Final Fantasy games, just in a world full of other people. But some of the updates coming to 5.0 alongside Shadowbringers refocus things for those used to solo play yet again – even beyond paring down any MMORPG over-complexities (something Square Enix has been consistently great about from new release to new release). The headline here is the new Trust system, which allows players to get some of the game’s NPC characters to come into dungeons to help them out. It’s not meant to replace matchmaking for party content wholesale (some of the later dungeons can get quite complicated and it would be hard for an AI to keep up), but it takes off a little of of the pressure of playing with experienced players early on in the game, and is a great way for newcomers to FF14 to get used to what dungeons and what playing in a party is like. It’s understandable that those less familiar with online games may find the prospect of stepping into an online Final Fantasy a little intimidating. But there are many reasons for giving it a go. The art style is gorgeous, and because it’s been worked on for such a long time the world of Eorzea feels like one of the most fleshed-out in any Final Fantasy. It’s bursting with life, and with no shortage of fantastic renditions of your favourite Final Fantasy everythings – from chocobo to summons, returning monsters, and more. This completely changed the core game by working the destruction of the first game’s world into the story of A Real Reborn. A massive expansion: journey to the closed-off kingdom of Ishgard and tackle an ancient conspiracy. It added the Dark Knight, Machinist, and Astrologian jobs to the game. Heading eastward to the port city of Kugane, Stormblood added the Samurai and Red Mage job. It also introduced swimming and diving. Your custom character really feels like your own, but still a part of that world, and you’re free to customise them to your heart’s content. The various races you can choose from include many Final Fantasy series favourites. One new race will make its way to the game alongside Shadowbringers, with the game’s director, Naoki Yoshida, heavily implying this may be its take on the Viera (Fran’s bunny-esque race from Final Fantasy 12, a game which FF14 as a whole is somewhat reminiscent of). So important is the story of FF14 to fans that Shadowbringers has a New Game+ feature, which allows you to play through the main story all over again with your character remaining at their current strength. It’s not yet clear how that will work with using lower-levelled jobs, but it could be a way to give you a different experience from how you played the first time. You can switch between classes in FF14 at any time simply by changing weapons – it’s within the fiction that your character can follow many different jobs – which means you can experiment a huge deal with how you play without having to juggle new characters and replay quests if you don’t want to. It’s an incredibly approachable MMORPG, and it’s only becoming more so over time. To accommodate how much FF14 is still growing, Square Enix is also tweaking the data servers – essentially adding more. But to accommodate, it’s also making it easier than ever to hop between the worlds your characters are bound to, so you can play and hang out with your online friends with less hassle. Simply bolting more on isn’t the dev team’s style with FF14. Instead it’s thinking about how to make things consistently approachable. Shadowbringers is bringing (ahem) a lot more than just this – a substantial continuation of the storyline, a heap of new dungeons and high-end raids, new endgame content for crafting and gathering classes, sprawling new areas, a new beast type, and multiple new jobs (yet to be announced, though Blue Mage is coming in a free update preceding Shadowbringers), to name just some. "Brings sprawling new areas, and a new beast type, and new jobs"
The takeaway is that Shadowbringers is more than just an update. Free updates with hefty content are regularly added to the game anyway, so when a full expansion comes out it’s a big deal. In many respects, this is a completely new chapter to FF14 – an entire new game’s worth of content. It’s never been friendlier for newcomers to join, and as a game it’s about as pure, unadulterated Final Fantasy joy as you can get. We’re at the stage now where the game has more than proved itself worthy of the series’ name, and Final Fantasy fans are missing out if they don’t sample the rich fruits of Eorzea. Thankfully, the development team is aware of the solo-playing fans of the series, and no MMORPG is more welcoming to lone wolves than FF14. Shadowbringers is, ironically, a beacon of light to those looking for a brand-new Final Fantasy to get lost in, and it’s a while since we had one of those. Now’s the time to get involved. Where does FF14 rank in our list of the best MMORPG games to play right now?